PARIS (AP) — A group of France’s yellow vest protesters says it is fielding a slate of candidates for the European Parliament elections. Members of the Citizens’ Initiative Rally said they hope momentum from more than two months of street protests will carry the protest movement into electoral politics. A recent poll predicted yellow vest candidates would receive as much as 13 percent of the French vote in the May 26 elections. 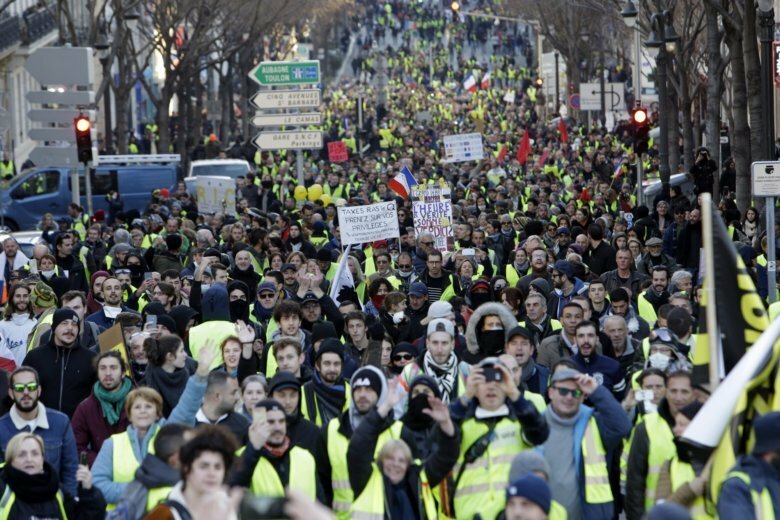 Weekly protests that started over fuel taxes often are ascribed to the “yellow vest” movement because participants wear roadside safety vests. This version has been corrected to reflect Shahinyan identifies as male.